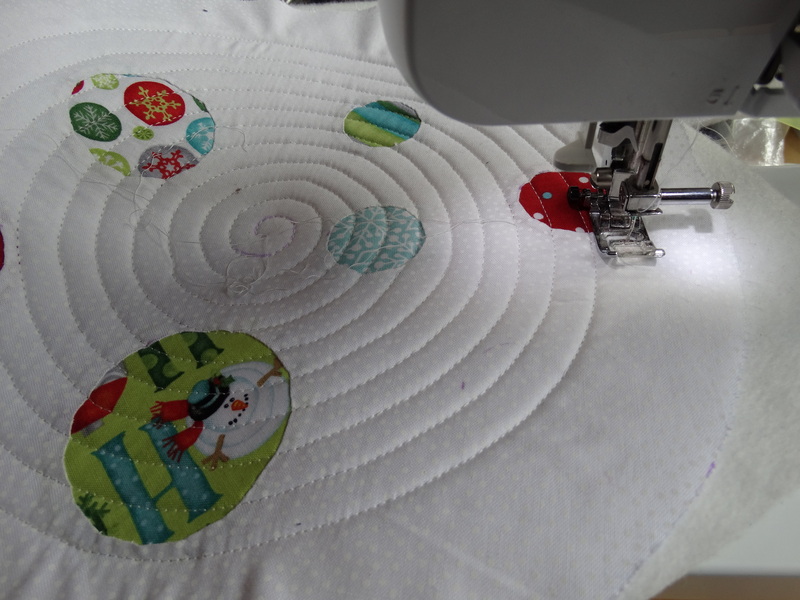 Welcome to the second month of the Ho, Ho, Ho and On We Sew Link Parties. Fiona and myself are delighted to have you join us and hope, that like us, you are slowly getting organised for Christmas 2014. Thank you to all of you who joined in the link party last month, and I hope that plenty of you will join in the fun this month. This month Fiona is hosting the link party over at Celtic Thistle Stitches, and she also has a great tutorial on how to make the perfect gift set for any coffee lover. Her gift set is made up of a place mat, mug cosy and cafetiere/French press/coffee plunger cosy; a great gift for Christmas, or any time of year. This month there is another great giveaway: Helen from Bustle and Sew has very kindly donated a copy of her Handstitched Christmas ebook. To be in with a chance of winning this great prize all you have to do is link up a Christmas project that you have completed this month. The link party remains open until 23.59GMT on February 28th so there is still lots of time for you to join in the fun. My christmas project for this month is a set of circular table mats that I am making for my own house. I had spent the last 10 days in the Alps with the family and it was the perfect project to get working on in the evenings after days spent out on the snow. My original plan was to get the mats quickly finished this morning as all that was left to do was some simple quilting and some binding. Alas my plans have been scuppered by a tempermental sewing machine and at the moment all I can share is a peak at the first unfinished mat. Unfortunately my sewing machine has decided to jam and will no longer sew a single stitch for me. Once I manage to free the stuck mat a trip to the service shop is in most definitely in order to solve the problem. So instead of getting my mats finished and ready to share with you all I have spent my time clearing my sewing table and reorganising my sewing space so that I can get out my lovely old Singer ready to get back to my sewing. I do hope you’ll pop back on Friday when I’ll finally be able to share my finished mats with you all (assuming my beautiful Singer is as reliable as ever). In the meantime do be sure to pop over to Celtic Thistle Stitches and check out this months great tutorial and link party. Oh dear, hope all you need is a simple fix to get you and your machine back in fine form! If you'd like to subscribe to this blog and stay up to date with the latest posts then enter your email address here to receive notifications of all new posts by email. The EPP Dragonfly Patterns are Here! Tangrams and Quilting - Fun in Fabric! Life is Full of Joy With Pay it Forward! Have you Picked Your Favourites? Fun Trips or Field Trips? What's Your Favourite Wallflowers Design? Designed by InkHive. © 2019 Mud, Pies and Pins. All Rights Reserved.